There are almost certainly no pumas, leopards, jaguars or cougars roaming regional Victoria, a state government study has found. "We can't say 100 per cent there are no big cats in Victoria but we can say it is highly unlikely," Department of Sustainability and Environment zoologist Peter Menkhorst said on Tuesday. What was the purpose of such a study? 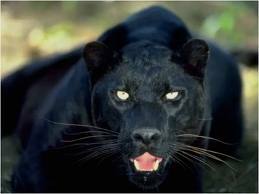 Are these legendary Big Cats a problem to anyone? Does this mean a study is also now required to rule out the existence of bunyips and drop bears? Surely they didn't think they'd actually be able to CONFIRM the existence of the Big Cats? And if they did confirm the cats don't exist, does anyone think that would stop the people who claim to have seen them - the kooks, the crazies and the conspiracy theorists? I hate to think of the amount of time, resources and efforts were wasted on this study, which couldn't even make a definitive conclusion. Good to see the State has money to burn! Highly unlikely? Way to commit to your work! Surely all it takes is bit of common sense to rule out the Big Cats? But thankfully, common sense doesn't prevail, and thankfully, the 'experts' can't confirm that there are no Big Cats prowling the Victorian bush. Because why would anyone want to deny such a great urban legend? How would older siblings scare their younger brothers and sisters on camping holidays if there are no more black pumas prowling the night looking for campers to snack on? "It probably is dogs or foxes or pigs or known predators, " Mr Menkhorst said. Pigs? Dogs? How are you going to tell a decent scary campfire story about killer PIGS? There’s probably no Bigfoot or Lochness Monster either. But who wants to believe it? Pfft – large feral cats – Its a Puma. And always will be.